In Riviera Nayarit luxury means nature, and nature in our destination is very conducing for sport fishing. 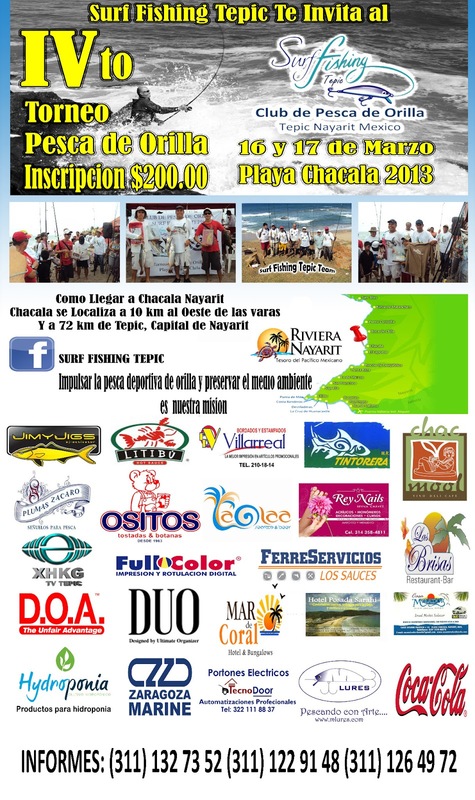 On March 16 and 17, the IV Surf Fishing Tournament will take place in Chacala, one of the magical corners of our destination. 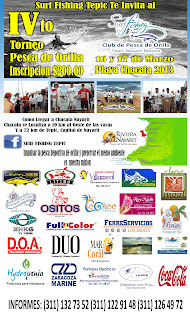 The Tepic Surf Fishing Club is inviting surf fishing aficionados to participate in the fourth edition of their annual tournament, which last year assembled 67 fans at the Boca de Chila beach in Mexico’s Pacific Treasure. The tournament is looking to promote surf fishing with an environmental awareness, so the competition will take place in a catch and release mode, which will allow us to preserve the maritime environment. Snook, snapper, grouper, curbina, sierra, mackerel and stinger will be the qualifying species for this competition, and participants can register by covering a $200 peso registration fee. Organizers expect to offer great prizes for the largest game and in order for them to be considered, these must be caught without bait. The event will start on March 16, with participants from Guadalajara, Sinaloa, Tepic, Las Varas, La Penita de Jaltemba, Lo de Marcos, Sayulita and the surrounding areas. In the afternoon there will be a mixer event. The competition will begin on March 17 at 5:00, and all captures made until three in the afternoon will be considered official. The Convention and Visitors Bureau (CVB) of Riviera Nayarit celebrates the initiative of organizations like the Tepic Surf Fishing Club, which contribute to the organization of events that promote tourism in our destination.